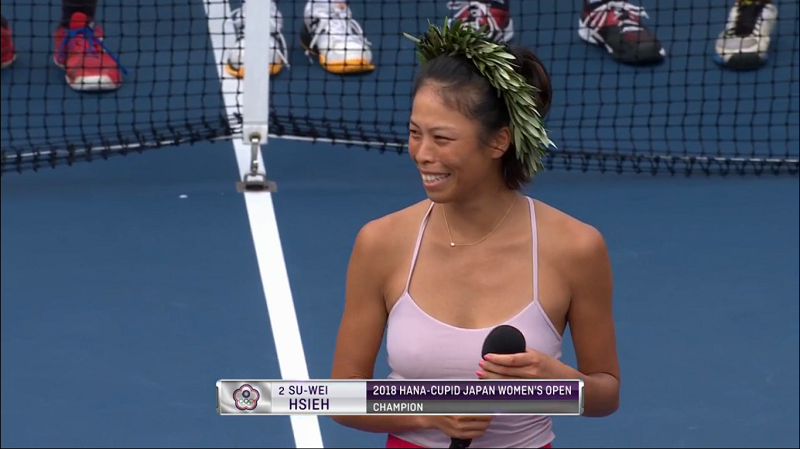 TAIPEI (Taiwan News)—Taiwan’s top tennis player Hsieh Su-wei defeated 17-year-old American qualifier Amanda Anisimova 6-2, 6-2 in 58 minutes in the final of the Hana-Cupid Japan Women's Open on Sept. 16 (Sunday) to capture her third career title and the first in six years. Hsieh, whose current world ranking is No. 40, was the second seeded player in the US$250,000 Hiroshima tournament. 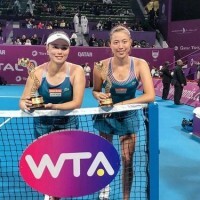 Hsieh has maintained a perfect record in title fights, which also saw triumph in Kuala Lumpur and Guangzhou in 2012, according to the WTA. With the win the 32-year-old player will also return to the top 30 in the WTA singles rankings for the first time since February 2013. 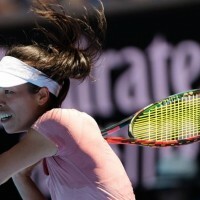 The Taiwan No.1 has had an amazing season that has seen her rake in victories against big-name players on some of the sport’s biggest stages - over Garbiñe Muguruza at the Australian Open and Simona Halep at Wimbledon. Halep is the reigning No. 1 player, while Muguruza briefly occupied the WTA World No.1 position shortly after winning her second major at Wimbledon in 2017.